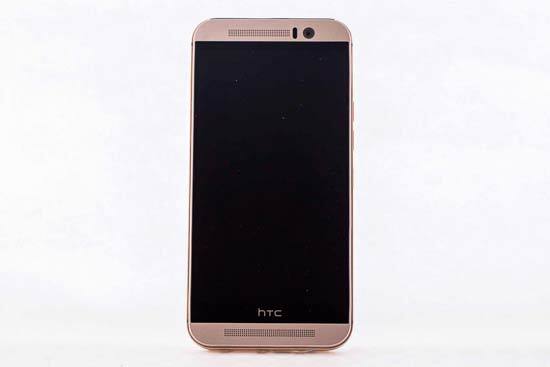 The HTC One (M9) was announced in 2015 and features a main camera which has a 20.2 million pixel sensor, accompanied by a 27.8mm f/2.2 lens. There's also an HTC UltraPixel 2.1 million pixel front-facing camera which has been designed to capture the most light when shooting selfies in low light conditions. 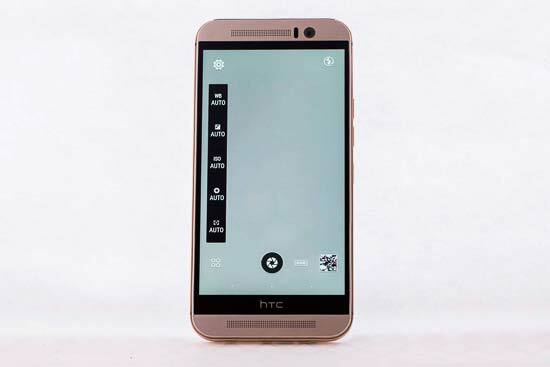 This second camera is what was found on the back of the HTC One M8, so it's interesting to see how important companies are now considering the front facing camera. A slot for a MicroSD card which gives you the opportunity to expand the internal 32GB memory capacity. 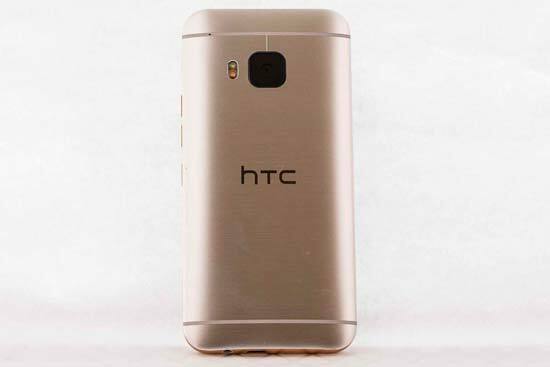 That's particularly useful if you want to shoot in raw format - the HTC One (M9) is capable of shooting in the universal DNG raw format. The processor is a Qualcomm Snapdragon 810, while there's also 3GB of RAM - that should make it fast to use, and is also good news for battery life. Another interesting feature is the ability to record 4K video. In this review we'll be looking at the performance of the on-board cameras, as well as the usability of the native camera app. As is pretty common for most smartphones these days, the number of physical buttons on the HTC One (M9) is relatively limited. There is of course the on/off switch, but there are also two buttons which can be used for setting the volume, or if you prefer, and of importance to this review, to release the camera's shutter. These buttons are placed in the middle of the side of the HTC One (M9), and it's slightly awkward to hold the phone as you might do an ordinary compact camera and try to press the shutter release button. On the positive side, as the camera lens is in the middle of the camera, you're unlikely to accidentally cover it with your fingers. Overall, you may find it generally easier to use the touchscreen button. The rest of the operation of the camera and the phone is done via the touchscreen. If you've used an Android phone before you should be familiar with the layout, but even if you haven't, it doesn't take too long to get to grips with basic operation - especially from a camera standpoint. When the screen is locked you can double tap it to access the lock screen, from which you can swipe up to start the camera, You can take as many pictures as you like, and change settings, but if you want to look at the photos you've taken, you'll be prompted to unlock the phone. 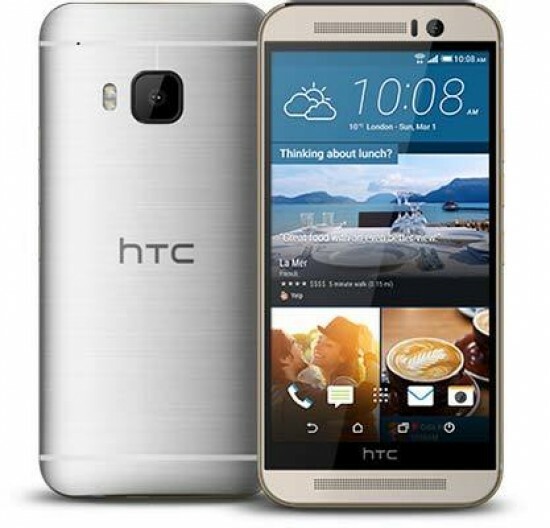 The HTC One (M9)'s native camera app gives you plenty of control, unlike say, the iPhone 6S. There are four different camera “modes” you can choose from; Selfie (to give you access to the front camera), Camera, which is the standard camera mode, Panorama, and Raw Camera. You can also add three different further modes to this screen to shoot with, if you wish. There's Photo Booth - which captures four photos in a grid, Split Capture - which captures using both the front camera and the rear camera at the same time (allowing you to capture a reaction to an event unfolding in front of you for instance), and Bokeh, which captures images with a shallower depth of field effect, presumably by adding some post capture background blur. In Raw Camera mode you'll have the most control afforded. Not only will the camera shoot in the DNG format (as well as JPEG at the same time), but you'll also be able to control white balance, exposure compensation, ISO, shutter speed and manually focus. To change any of these settings you simply tap the setting you want on the bottom of the screen then use the onscreen sliders to make your changes. If you want to, you can also set each of these parameters to automatic, by tapping an A at the top of each slider. There are further settings changes you can make by tapping a cog icon in the corner of the screen. Here you can change the Crop (aspect ratio), self-timer, resolution and the length of time a shot is previewed after you take it. A handy function is the ability to save a “custom camera”, with a group of settings you may want to use often. You can then switch between different custom cameras as you need them. If you switch to Camera mode, you can still make quite a few settings changes, but you won't be shooting in raw format. You can set ISO, exposure compensation, and white balance. This time there's no sliders, but a variety of different values you can choose, such as ISO 100, ISO 200. Again there's a number of different options you can change via the settings (cog icon) menu. When shooting in this mode you can record movies. The standard native resolution is 1920 x 1080 (full HD), but you can also shoot in 4K (3840 x 2160). To start recording there's a smaller icon underneath the camera icon which you need to tap. When you're finished recording, you simply tap the icon again to stop the recording. There's an inbuilt flash which you can switch on and off with an icon in the top right hand corner. You can also switch to automatic to have the camera decide for you when to activate the flash. Once you've taken a shot, you can make some edits using the HTC One (M9)'s inbuilt editor. There's basic edits such as cropping and red-eye removal, but you can also add different effects. It's fun to play around with these to see if you like any of them, but some of them may not be to your taste. It's also possible to “enhance” portraits by brightening eyes, contouring the face and so on. In good light, focusing is a little slow, with the HTC One (M9), but it almost always locking on to the subject with ease. If you want to shoot a close-up (macro) shot, the camera can occasionally spend a little longer hunting to acquire focus, and on occasion may even miss focus altogether. You may find you need to spend some time getting the camera to focus and recompose a few times to get the macro shot you need. In lower light, focusing is a little slower, but still reasonably fast - so long as you're shooting a normal (non macro) scene, it's unusual for the M9 to miss focus. The operation speed of the camera is reasonably good - shot to shot times are good, and while if you're trying to look at an image from the lock screen, you'll be slowed down by that, once you've unlocked it, speeds are pretty quick. The time it takes to start up is also reasonable. If you want to transfer your photos directly from the phone to your computer, you'll need to download the HTC Sync Manager, which is available for free from the HTC website. It would be better if you didn't have to download the software and just view the phone as a separate drive. The software itself is also slow, the first time I needed to sync the phone, it took more than 20 minutes to sync - not great if you need to quickly grab a photo or two, in fact you'd probably be better off emailing a photo to yourself from the phone if you needed it. At other times, it refused to accept that the phone was connected to the computer at all.